A federal judge in New York on Thursday pondered one of the most vexing dilemmas for any prolific Twitter user: why block a troll when the mute button could do? That is one of the questions posed in a lawsuit alleging that President Donald Trump has violated the constitutional rights of individuals he has blocked on Twitter, a medium that has come to define much of his public persona. 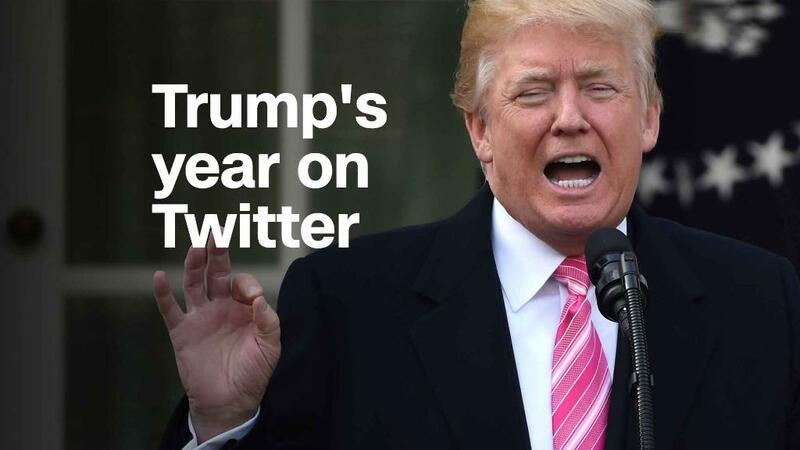 At a hearing held in a small, crowded courtroom, Judge Naomi Reice Buchwald considered whether Trump's Twitter account constitutes a public forum and whether his tweets represent a "state action." Midway through Thursday's proceeding, Buchwald offered an idea for a "settlement": by muting the unfriendly users rather than blocking them, Trump would be shielded from the criticism while the critics would still be able to engage freely. "Why are we here?" she asked. "Don't we have a solution that serves the interests of the plaintiffs, serves the interests of the president?" The suit was filed last year by the Knight First Amendment Institute along with seven individuals who have been blocked by Trump on Twitter. They contend that the president's Twitter account is a public forum and that, by virtue of his status as a government official, he cannot block them on the platform because they offer views with which he disagrees. The government has moved to have the case dismissed. Katharine Fallow, an attorney for the plaintiffs, indicated that her side was amenable to Buchwald's suggestion that Trump mute rather than block, though she said it "not necessarily a perfect solution." Justice Department lawyer Michael Baer, however, said that both muting and blocking users on Twitter are "within the president's associational freedoms." Trump has a right to determine who he spends time with on Twitter, Baer argued. But Buchwald was clearly serious about the proposal; as the two-hour hearing reached its close early Thursday afternoon, the judge urged the two sides to "consider my earlier suggestion." "It might be better to resolve it in a practical fashion," she said. Outside the courthouse, three of the plaintiffs who were in attendance for Thursday's hearing talked to reporters about Buchwald's suggestion. Two of them, Rebecca Buckwalter and Philip Cohen, expressed skepticism regarding Buchwald's idea. Buckwalter, a journalist at the liberal blog Daily Kos, and Cohen, a sociology professor at the University of Maryland, were blocked by Trump in June of last year. "I don't know if muting is really the solution, but if all they really care about, which they say, is that he just doesn't want to hear from us, then he would mute, but obviously he wants to suppress our speech," Cohen said. But another plaintiff who was present at the hearing, Nick Pappas, a comic and writer, said Buchwald's proposed settlement is OK by him. "I think that would be a great solution for me," Pappas said. "I never thought that Trump would be reading my tweets. It was never my point. I wanted other people to read my tweets, other citizens to read my tweets. So as long as they can read them, I would be completely fine with him never hearing anything I say." Buchwald also delved into case law, poking holes in arguments raised by both the plaintiffs and defense. But unlike Twitter, the hearing never turned contentious. One of the dominant questions centered around how to define Trump's activity on Twitter; is it any different than, say, a public town hall? Buchwald said that if a government official were to turn off the microphone at such an event in order to suppress unfavorable perspectives, that would understandably raise First Amendment questions. But Baer contended that the analogy didn't hold, and that Trump's use of the block function on Twitter is no different than what any other public official could do in a public space, again invoking Trump's "associational freedoms." At one point, Baer offered his own analogy, saying that the president can choose to ignore protesters or even change locations at an event to make it more difficult for the protester to reach him. "It is just not like the public forum cases, where the microphone is turned off," he said. Moreover, Baer noted that all but one of the plaintiffs has continued to engage the president's tweets despite being blocked by him. And the defense has stressed the fact that everyone who is blocked by the president can still view his tweets by logging out of their accounts, and that they still have many other ways to petition the government. Fallow argued in response that the president has placed an undue burden on the plaintiffs' speech by blocking them, which also has an impact on the comment threads provoked by Trump's tweets. Buchwald seemed receptive to that argument, saying at one point that "it is not the case that the only person who is harmed is the blockee." Fallow also rejected the notion that the @realdonaldtrump account is "purely personal." "It is overwhelmingly used for official purposes," she said in the courtroom. After admonishing the attorneys to consider her mute-don't-block proposal, Buchwald said she will make a decision "in due course," though she said one likely won't come immediately. Baer and other attorneys for the government left the courthouse briskly, opting not to stop and answer questions from the media. After the three plaintiffs in attendance addressed reporters, Fallow herself was asked about Buchwald's suggestion. "We have made our arguments that this is an official account the president uses in an official capacity and that him blocking people simply because they criticize him is viewpoint discrimination that violates the First Amendment," Fallow said. "As to the muting, I think that is an option. That is much less restrictive and burdensome on the plaintiffs' speech rights."